The news was welcomed on behalf of the Fiji Government, and described as “historic” and “a wonderful day for Fiji” by the Minister for Education, National Heritage, Culture and Art’s, Filipe Bole, and the Attorney General and Minister for Tourism, Aiyaz Sayed-Khaiyum. Both Ministers said the declaration was a landmark day for not only the people of Levuka but also the entire nation. 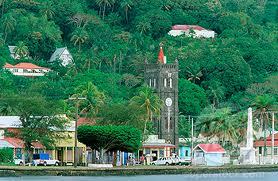 Recognised for “its low line of buildings set among coconut and mango trees along the beach front” – as a “rare” and “outstanding example of late 19th century Pacific port settlements”, the UNESCO World Heritage Committee said the combination of “development by the indigenous community” and “integration of local building traditions by a supreme naval power” – Britain – had led to “the emergence of a unique landscape”. “This is truly a historical day – the first time any site in Fiji has achieved World Heritage status”, the Attorney General enthused. He also acknowledged that the declaration was a tribute to the people of Levuka, who had worked hard and lobbied tirelessly for the World Heritage classification. The Minister for National Heritage, Mr Bole, said “This has been a wonderful example of cooperation between the citizens of Levuka, the National Trust of Fiji and the Government. Levuka has a wonderful future ahead of it”. 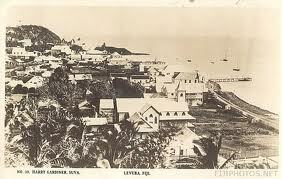 Levuka was founded around 1820 by European settlers, shipwrecked sailors and traders as the first modern town in the Fiji Islands, and soon became an important port and trading post. Levuka is famous for many of Fiji’s other “firsts.” It was the site of Fiji’s first bank, post office, school, private members club, hospital, town hall, and municipal government. It was the site of Fiji’s first public electricity system and Fiji’s first national newspaper, the Fiji Times, was founded in Levuka in 1869. Interestingly, the Royal Hotel (which is still in operation today) is the oldest hotel in the South Pacific! By 1870, the town had a population of more than 800, but by 1882 the move of our nations capital to Suva had been prompted by concerns that the 600-meter high cliffs surrounding the town gave it no room for expansion. 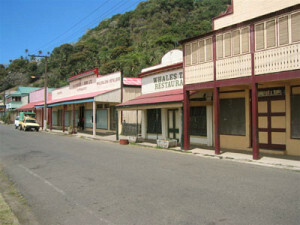 So the town remains today, as it was then; developed only with respect to its former state – the saloons that lined the street are gone, but the quaint columned storefronts and weatherworn clapboard buildings have managed to survive the 130-something years since and Levuka has retained its magic. 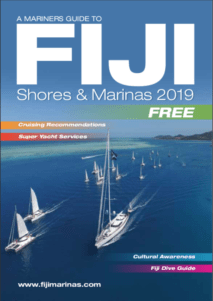 Levuka is a Port of Entry, and if this is where you decide to clear into Fiji, be sure to make contact by radio on Channel 16 once you reach the main wharf. Bunkering, watering facilities and ships’ supplies are available. 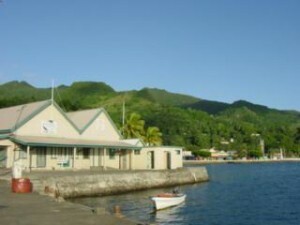 All necessary border control offices are located alongside the main wharf; including the oldest Customs building in Fiji! Dad moved there in 1946 and moved to Nadi in 1959. From that point I may write my memoirs some day.